The earliest reference I can find to the surname appears in 1522. 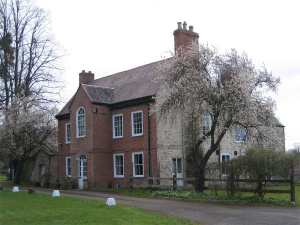 The will of Robert Cooke, Chaplain, Vicary of Churcham in Gloucestershire contains a bequest, 'To the mending of the highway from Curseley's brigge forwards John Hewitts house 6s 8d ' the highway led to Curseley's farm, now Beauchamp House. Source: Hockaday abstracts Churcham 152, Gloucestershire C.R.O. Now Beauchamp House, a school and music centre. Rents of the Free Burgesses within the town of Alnwick. The Lady the Queen has in her own hands.. Source: History Of the Borough, Castle, and Barony of Alnwick"